While two augmented reality companies were recently recognized for their innovative technologies, other companies have turned to augmented reality to innovate in their respective fields. Over the past week, use cases have ranged from selling snacks and video games to raising awareness for public health issues. Two companies working with augmented reality technologies have been selected by the World Economic Forum as Technology Pioneers for 2017. 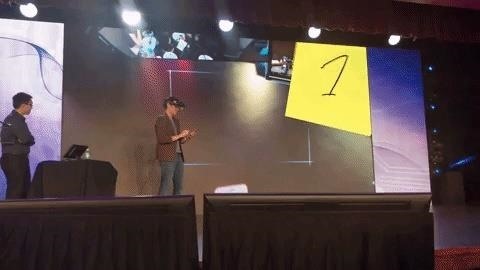 Meta Company, makers of the highly sought-after Meta 2 headset, earned the Technology Pioneer distinction after recently bringing home a Auggie Award from the Augmented World Expo for their new Meta Workspace operating environment. Also tapped as a technology pioneer is Penrose Studios, a creator of augmented and virtual reality content and stories. Each year, a selection committee of 60 experts identifies 30 companies who are introducing innovative and impactful technologies. The companies are invited to participate in the World Economic Forum Annual Meeting of New Champions, which will be held in Dalian, China on June 27–29. Blippar has secured another promotional opportunity, this time through a partnership with snack brand Mrs. Freshley's and video game franchise Final Fantasy. Through May 15, 2018, Mr. Freshley customers can scan a variety of snacks with the Blippar app for iOS or Android to unlock a game code for Final Fantasy XIV: Stormblood and register to win a trip to San Diego Comic-Con International. Digital marketing firm Mspark is also leveraging augmented reality for a promotional campaign, teaming up with the Dear Jack Foundation to raise awareness of cancer in adolescents and young adults. By scanning direct mail pieces and ad banners (such as the image below) with the Layar app for iOS or Android, recipients can access videos, music clips, and other interactive content.